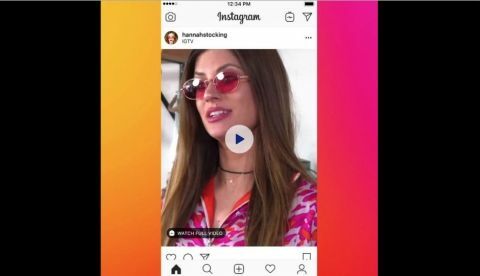 Instagram's dedicated videos apps, IGTV, has not attracted audiences the way the company hoped it would, so now, we have to watch IGTV Previews in our Insta feeds. Instagram introduces IGTV Previews in Feed. Users scrolling down in their feed on Insta will see short IGTV previews. Instagram hopes to make more creators discoverable with the new feature. Instagram Television or IGTV was launched with much fanfare in June of last year, when Instagram hit 1 billion users. The format allows creators to post longer videos in vertical format and the response for it was pretty enthusiastic at the time of its launch. However, within the first few months, interest on IGTV dwindled owing to multiple factors. While vertical videos on IGTV were all the rage initially, the lack of horizontal space restricted creators from presenting a whole lot visually. YouTube supported vertical videos way before IGTV ever existed and even they were not very keen on the format going by the fact the Google-led streaming platform never put much emphasis on it. Now, what seems to be a step towards bringing back interest on the platform, Instagram has introduced IGTV Previews in Feed. This means that users scrolling down on their Insta Feeds will now be presented with short, 1-minute IGTV video previews from the creators they follow on Instagram. Users will be able to see these previews before they decide to go and watch the complete video on IGTV. Users can tap on the video previews to enable audio and if they want to watch more, they can tap the IGTV icon on the video to watch the full version on IGTV. Users will automatically return to their Feeds after the video finishes. Those who want to explore more videos on IGTV can swipe up while watching the video they tapped on and discover other content on the app. To have their IGTV Previews show up in users’ Feed, creators will need to share a 1-minute preview of their video in Feed when they upload a new IGTV video and share a 1-minute preview of their video on their profile when they upload a new IGTV video.